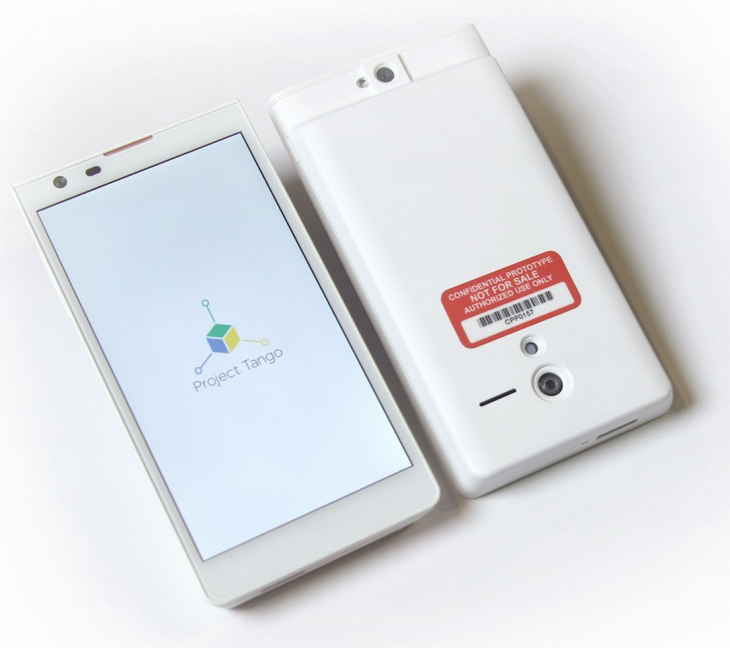 Google today announced the Project Tango Tablet Development Kit for developers who want to build apps that can track full 3D motion and capture surfaces in the surrounding environment. If that tickles your fancy, you can “express interest” on the Project Tango website. Developers selected by Google will be whitelisted to purchase the device for $1,024 from Google Play in “late-June.” If you’re attending Google I/O, the company promises you’ll be among the first able to purchase the Project Tango Tablet Development Kit. Google says it created the kit “in close collaboration with Nvidia.” That’s why it includes the new Tegra K1 mobile processor, as well as 4GB of RAM, 128GB of storage, a motion tracking camera, integrated depth sensing, WiFi, and BTLE.